The Raptor is the newest addition to the Hustler lineup. 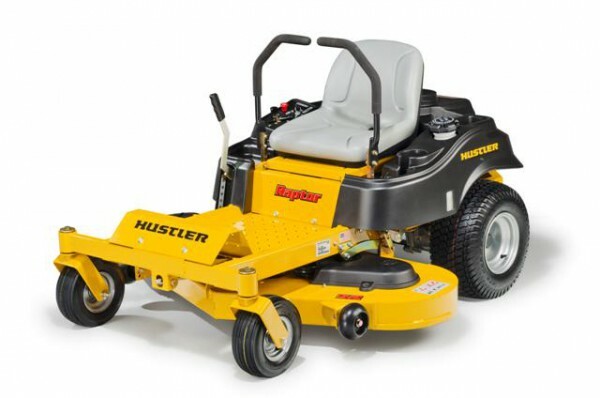 Aimed at the domestic, home owner market, it provides a better alternative to the ‘low value for money’ lawn tractors that are currently on the New Zealand market, sold in other mower shops and the big box stores around the country. 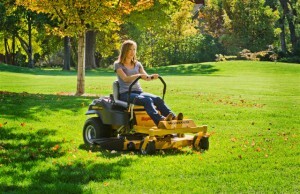 Although slightly more expensive it is a mower that, once bought, saves time and ultimately saves money. All because it is a onetime purchase that will last, unlike a lawn tractor that will need replacing after a few years. There are less moving parts to wear out, and therefore easier to service. The horse power delivery to the important parts is so more efficient that it takes less horse power to process a lot more grass. These mowers are very efficient grass cutting machines. 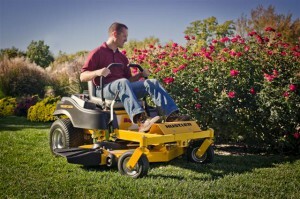 The Raptor is very well designed for ease of use and no cluttered controls like a lawn tractor. Its components are built a lot stronger than a lawn tractor, making the Raptor very durable; it lasts a lot longer. The mowing time is halved compared to a lawn tractor because the Raptor has efficient horse power delivery, has a lot higher blade tip speed to process more grass, is lever steer zero turn to save time in the turns and to get around obstacles quicker, and has a faster overall ground speed so will clock up less hours to make it last even longer again. The Raptor has a deck designed to side discharge or mulch. Lawn tractors don’t mulch. The horse power delivery to the deck is poor on lawn tractors, and with low blade tip speed, all these lawn tractors do is make a mess. The Raptor mulches properly; try one and see for yourself. You can request a no obligation demonstration on your property, and even keep it for a weekend. For features, technical specifications, configurations, and warranty details, see our Raptor brochure. Watch the Raptor in action. See what the customers say. See what the dealers say.